Two Chicks On Books: Blog Tour- EXO by Fonda Lee An Excerpt & Giveaway! 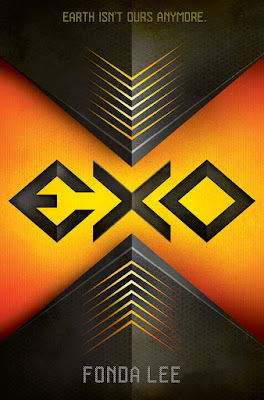 Blog Tour- EXO by Fonda Lee An Excerpt & Giveaway! I am thrilled to be hosting a spot on the blog tour for EXO by Fonda Lee! I am super excited to read this book! I have an excerptto share with you today! And make sure to enter the awesome giveaway for a chance to win the book!! Haven't heard of EXO? Check it out! When Sapience realizes whose son Donovan is, they think they’ve found the ultimate bargaining chip. But the Prime Liaison doesn’t negotiate with terrorists, not even for his own son. Left in the hands of terrorists who have more uses for him dead than alive, the fate of Earth rests on Donovan’s survival. Because if Sapience kills him, it could spark another intergalactic war. And Earth didn’t win the last one . . .
Donovan had seen an old photograph in a museum once that showed this area from a time before the War Era, before the Landing, even: just miles and miles of waving grass and grazing cattle with only the occasional small human town to break it up. It was hard to imagine such a time, when all around them sprawled evidence of activity and growth: construction equipment, busy roads running every which way, new neighborhoods filled with houses and shops and people hoping for erze status and work. The fluid curves of modern zhree-style architecture mingled with blocky, traditional human buildings. Skimmercars buzzed past ground cars, electricycles, and pedestrians. Donovan had seen another photograph in the same museum, of the Ring Belt some eighty years ago, in the early days of peace, when it had been part trading post and part refugee camp, burgeoning with displaced humans hoping for some livelihood or profit from working with the new governors. Now the urban sprawl encircled Round Three (for it was the third out of eighteen Rounds all over the world) in a messy, vibrant swath of humanity, like algae glommed around a pond rock. The Ring Belt had its bad parts, though. The skimmercar slowed, began making tight turns to navigate the narrow streets of an old, crumbly neighborhood of small, square brick houses and weed-choked front lawns. Donovan checked the navigation screen and pointed down the row of near-identical dwellings. “Third one on the left,” he said. Donovan drew his own sidearm—a standard 9mm electripulse pistol, modeled after a classic human weapon but built with offworld metal composite and outfitted with zhree battery technology. He made sure the magazine was full, then holstered it and stepped out of the car after Jet. They spaced apart defensively as they approached the house. Donovan watched for movement in the tiny windows of the neighboring homes. Evening had turned the world a shadowy blue, and the temperature was plummeting fast. The banter between them was gone, as was their earlier sense of fatigue; there was nothing like the possibility of danger to clear the mind. This place made them tense, focused. All the buildings on the street had flat, walled roofs and radiation-shielded basements. They had been built for a time of war, and the people who lived here—poor, unmarked Sapience sympathizers—probably felt like they were still in one. Donovan’s exocel crawled up, responding to cold, and nerves. They circled Corrigan’s house. “Someone’s home,” Jet said through his transmitter, his voice low in Donovan’s earbud. 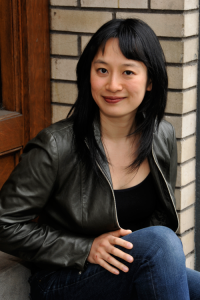 Fonda Lee writes science fiction and fantasy for teens and adults. Her debut novel, Zeroboxer was an Andre Norton Award finalist, Jr. Library Guild Selection, ALA Top 10 Quick Pick for Reluctant Young Adult Readers, Oregon Book Award finalist, and Oregon Spirit Book Award winner. 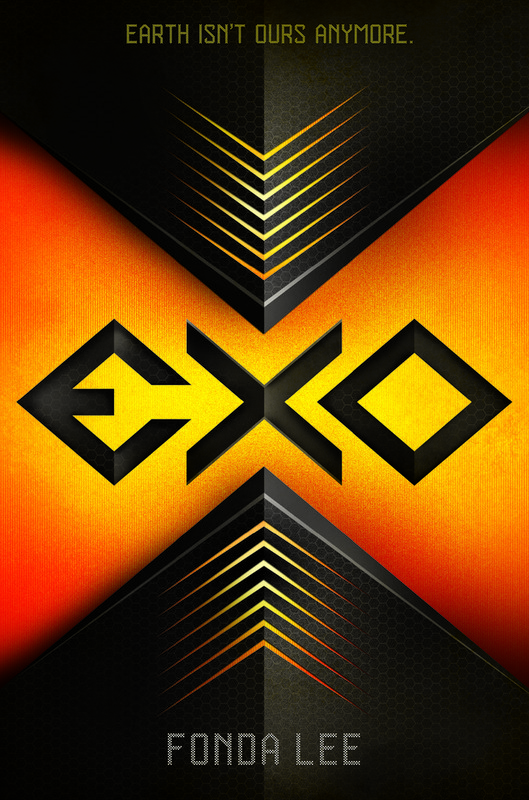 Her second novel, Exo, releases from Scholastic in February 2017. Fonda is a former corporate strategist who has worked for or advised a number of Fortune 500 companies. She holds black belts in karate and kung fu, goes mad for smart action movies (think The Matrix, Inception, and Minority Report) and is an Eggs Benedict enthusiast. Born and raised in Calgary, Canada, she currently resides in Portland, Oregon. 3 winners will receive a finished copy of EXO, US Only. Looks like an intriguing book! Thank you for the contest! Exo looks like great sci-fi excitement. Omg! I have been on an Alien binge lately by watching all the movies and playing the Alien Isolation game on my xbox! I am definitely in the mood to read something like this! Fingers are crossed!